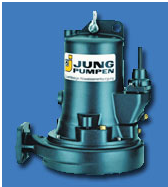 MultiCut submersible de-watering pumps are ideally suited for sewage and waste disposal in the mining industry. The great advantage of this system is the use of small bore pipe-work over long distances, proving very cost effective. The cutter blade rejects any material such as stones or metal that it is unable to cut.